The Cultural Alliance of Western Connecticut is partnering with The Ridgefield Playhouse in support of the Emerging Artist Series, a new series that is specifically designed to give up-and-coming musicians the opportunity to headline their own shows. This great after-work event is the perfect setting to meet-up with co-workers and friends, and to enjoy a night of music, nibbles, and drinks. 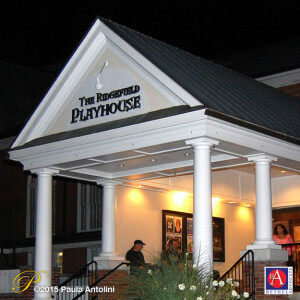 The Ridgefield Playhouse, a 500-seat gem located at 80 East Ridge Road, is a not for profit 501 (c)(3) whose mission is to present a variety of performing arts to the community and the surrounding area, presenting lesser knowns to star talent that they can enjoy and experience at a varied price point. The Playhouse presents national and local acts and is the cultural hub for the town of Ridgefield and the neighboring environs. 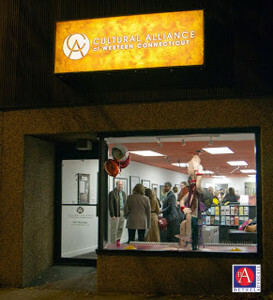 The Cultural Alliance of Western Connecticut, with offices at 287 Main Street, Danbury, CT, is a leader in supporting a vibrant arts and culture community in Northern Fairfield and Southern Litchfield Counties. The Cultural Alliance promotes and advocates for arts, history, and culture as a primary driver of the economy and as an enriching influence for communities and people. The Cultural Alliance of Western Connecticut, a 501c-3, is the largest and only regional service organization working to ensure better access to arts and culture for all residents and visitors in Greater Danbury. prior to a live performance. take good information from here daily. to Partner with Ridgefield Playhouse in Support of Emerging Artist Series – Bethel Advocate <Loved it! me to grab your feed to stay up to date with forthcoming post. issues with your RSS. I don’t understand why I cannot subscribe to it. getting more from this site, and your views are good designed for new visitors. to read content, except this webpage gives feature based posts. A lot of times it’s difficult to get that “perfect balance” between user friendliness and visual appeal. I must say you’ve done a amazing job with this. Additionally, the blog loads extremely fast for me on Opera. Still, the posts are very short for beginners. May you please lengthen them a little from next time? advise him/her to pay a quick visit this website, Keep up the fastidious job. It’s actually a nice and helpful piece of info. I’m satisfied that you simply shared this useful information with us.